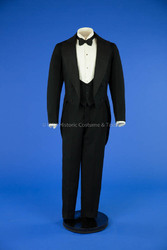 The suit worn by Daniel Webster Williams contained a black wool tailcoat, vest, and trousers. 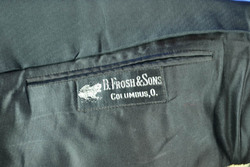 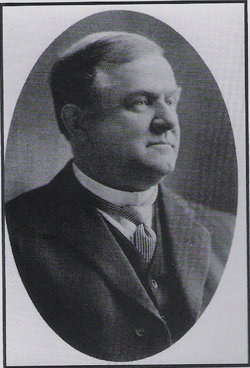 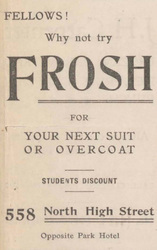 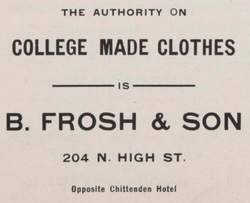 The label on the inside right breast pocket of the tailcoat contains a picture of a frog and reads B. Frosh & Sons Columbus, O.
Advertisements below for the Frosh tailoring business from Ohio State football programs. 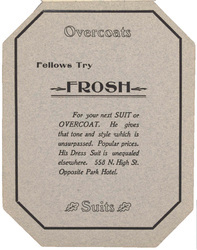 Images courtesy of The Ohio State University Archives.